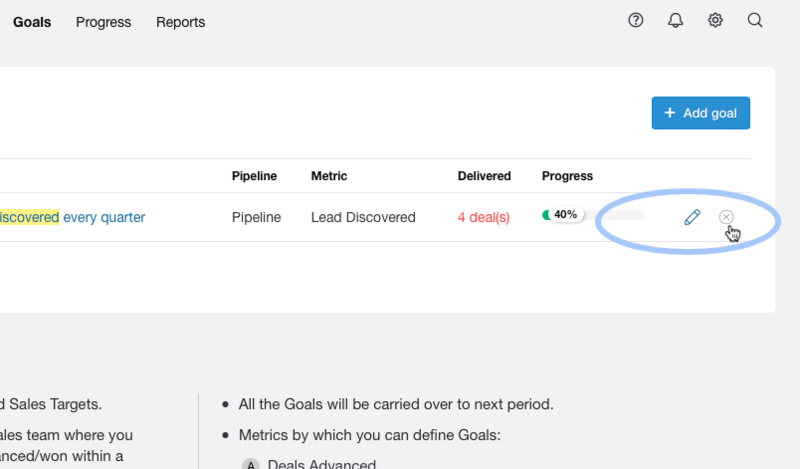 Setting Goals for your Sales team will help them perform better and track their sales performance. 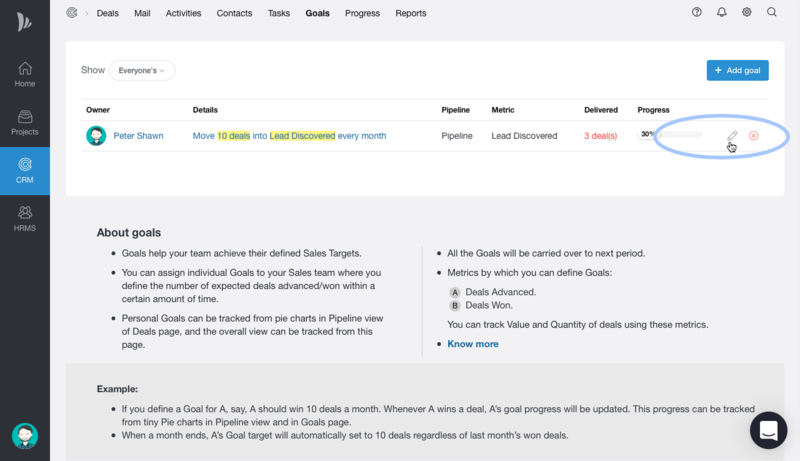 Goal details like Expected number/Value of Goals, Time period and Pipeline can be updated using edit option. However, the assigned user for a Goal cannot be changed. 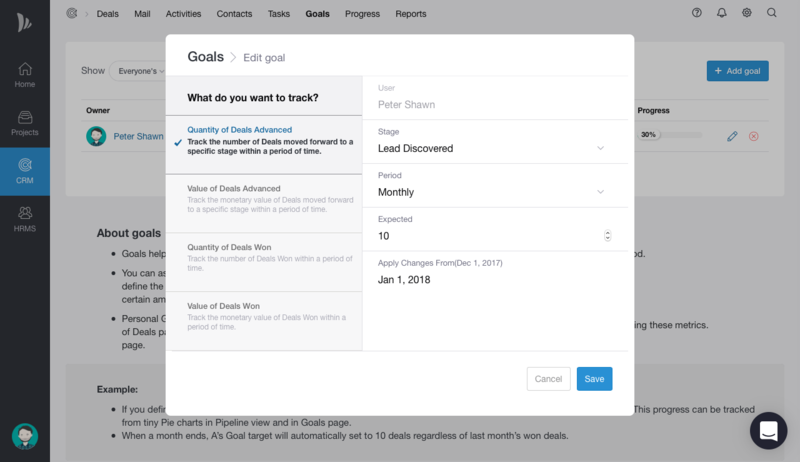 All the data from a Goals will be lost and cannot be recovered when a Goal is deleted. To delete a Goal, click on the cross icon next to the Goal and confirm the same. You need Admin privileges to perform above actions.